Segedunum Roman Fort, Wallsend, is the easternmost fort on Hadrian’s Wall and, to date, is the most excavated fort in the Roman Empire. The fort was only added to the great scheme of this huge engineering project some three years after the Wall itself was under its first throws of construction. Primarily it was built to afford a view of the eastern fort on the south of the River Tyne at Arbeia (South Shields) because the view from Pons Aelius (Newcastle upon Tyne) would have been very restricted because of the distances involved. Being built on the banks of the Tyne is quite unusual for the Romans because Rome preferred to use rivers as a natural barrier as opposed to going to the extent of building a fort unnecessarily. There is plenty to see and do here with the fort itself almost fully on display except where a roadway (Buddle Street) runs through the northern section of it. However, on the south of this road the buildings are clearly marked out although a lot of the original stone foundations were destroyed by the Victorians when they built Simpsons Hotel on top of the fort. That does not detract from the experience of visiting this site in any way though. Uniquely a viewing tower that stands at 34 metres tall offers an excellent look at the site as a whole and is well worth taking the opportunity to take some excellent photographs. The upper rear of the tower enables a view towards Arbeia although it is virtually invisible with other buildings in the way though it is easy to imagine what it may have looked like. There is a very fine museum and shop too with a cafe. Also on site is a fully working, reconstructed, bath house based on that at Cilurnum (Chesters) and is laid out in mirrored fashion because of the space allowed to build it. It is painted inside with frescos based upon bath houses in Bath and Germany. Across Buddle Street there is a reconstruction of part of Hadrian’s Wall along with defensive posts around which sharp thorn bushes would be placed thus forming the Roman equivalent of our barbed wire, the cippi defences. On one facia of the Wall you can see where experimental plastering and painting has been done to highlight the fact that Hadrian’s Wall was actually plastered and painted when built, at least in parts. There is solid evidence for this. An original stretch of the Wall also exists alongside the reconstruction but is covered with plastic sheeting as funds ran out during its excavation. 2016 saw parts of this area uncovered and reinvestigated. There is a spectacular part of this section of Wall on view where it collapsed and has been repaired several times becuase of an underground waterway which simply wore away the earth beneath. One of the stones reused was that of a window arch. The foundations that remain show the fort had several repairs and modifications through its history and this is easily spotted by the trained eye. The site was opened to the public on June 17th 2000 by the Mayor of North Tyneside and was paid a special visit on the day by the Ermine Street Guard and members of the Cohors Quinta Gallorum. The name Segedunum is noted for the first time in the Notitia Dignitatum, written in the late 4th century AD. The meaning of which is: either Strong or Victory fort. Bath HouseSingle units generally manned the Wall with some exceptions where small units were occasionally added to a garrison. From the 3rd century onward troops stationed at forts appear to become more settled and change was not then the norm. In at least part of the 2nd century the second cohort of Nervians, from Gallia Belgica (Belgium), may have been based here and evidence of this is taken from a dedication on a sculptured slab found to the west of the fort. During the 3rd and 4th centuries the fourth cohort of Lingones were based at Segedunum and this was a mixed unit of 480 infantry and 120 cavalry soldiers raised originally in the province of Germania Superior, which is now part of Eastern France. water level of the Tyne. 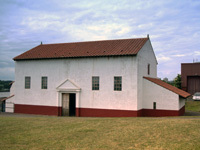 Segedunum is one of the most excavated forts in the whole Roman Empire. There are still areas to be dug that may yet add more knowledge of the fort itself. The development of Segedunum cost a grand total of £9 million and work lasted from January 1997 to June 2000 when it opened to the public. At one point over 100 archaeologists took part in the dig alone. The site lies in the industrial heart of Wallsend and this is one reason for its development as an attraction today highlighting how landscapes change through time. This is not possible anywhere else along the length of Hadrian’s Wall. The museum itself was built in 1943 and was used as the canteen for Swan Hunters shipyard and modernised after it fell out of use. The viewing tower is 34m in height and affords views west along the Wall route toward Newcastle (Pons Aelius) and east toward South Shields (Arbeia). The bath house is based upon that built at Chesters (Cilurnum) and is laid out in mirror fashion as space allowed. 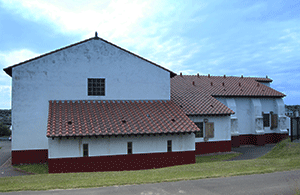 It is a fully functional bath house built primarily for experimentation as well as for the visiting public. Marcus_Aurelius cohors II Nerviorum civium Romanorum ? 1st_Note The cohors II Nerviorum could have been the Hadrianic garrison, although it was not equitata. 2nd_Note The inscriptions of cohors IV Lingonum from the fort (RIB 1299 - 1301) are not dated, but are certainly late and are probably third century. The tile of ala I Hispanorum Asturum (Britannia 7 (1976) 388) is insufficient evidence for its having been stationed here.